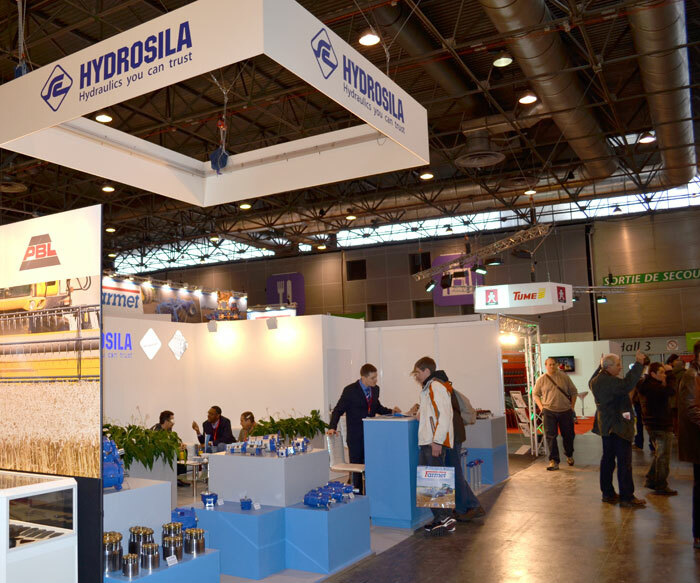 At the end of February Hydrosila exhibited at one of the largest agri-business shows of the world – SIMA 2013, which took place in Paris. 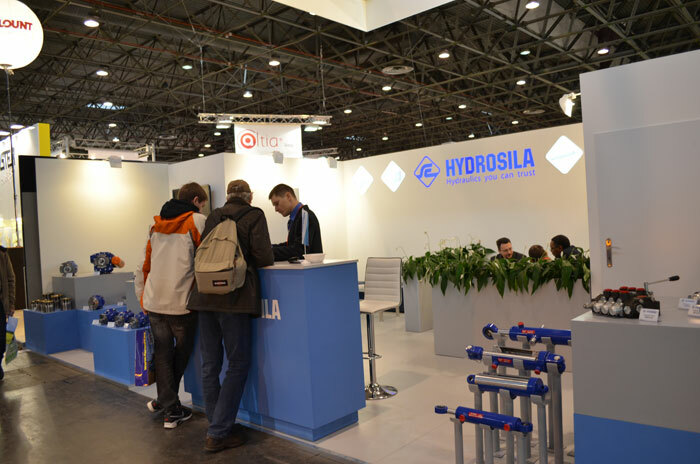 Our company presented the whole range of products for mobile machines, which are manufactured under the TM Hydrosila, such as axial-piston pumps and motors for closed and open circuit, gear pumps, control valves, cylinders. During the show were held meetings with the representatives of European agricultural OEMs and were concluded some contracts for pilot lots of hydraulic units. The biggest interest OEM representatives and agri-business visitors showed to axial-piston pumps PVN and PVC1 applied at modern tractors; gear pumps Series K with the body made of rolled aluminium and Series T in the cast iron body, which are used for hydraulic system of chassis at special machines. Agri-business show SIMA 2013 was held since 24 to 28 February and gathered 1700 exhibiting companies from 40 countries of the world, almost 250 thousand visitors at the territory more than 25 ha.